The arts and the systems that supported them in Western Europe were, in general, not expressions of communities but of individuals with money and power. It is these arts that form the bulk of “high arts” presented in the U.S. even today. This background is essential for understanding the “state of the arts” in the U.S. in the Twenty-first Century. Ours is a society that does not freely support the work of established not-for-profit arts organizations. There is no museum so important to a broad range of attendees that it can keep its doors open solely through admission fees. There is no symphony so wildly popular in its community that it is fully-funded by city government. There is no dance company so meaningful to its donors that they provide it with all resources necessary to maintain its operations each year. Indeed, these three scenarios are so far-fetched that even entertaining them seems ludicrous. Yet an examination of the reasons we understand them to be preposterous can provide significant insight into the state of established arts organizations in the U.S. today and provide some sobering glimpses into the future. In a capitalist democracy, the long-term viability of any enterprise is only assured if it can fully support itself through earned revenue or if 50% plus one of the voting population is passionately committed to it. There is an intuitive awareness that neither are true of our established cultural institutions. Paradigmatic shifts in socio-political, demographic, and economic systems have taken place since the structures that support European-based arts activity emerged. These shifts have de-coupled established arts organizations from the general public and present a practical rationale for changing the focus of those organizations. The long-term viability of the established arts world appears to depend on increasing the breadth of reflective arts experience offered and expanding the base of the public being served by those experiences. In addition to the practical argument, there is a moral one as well. U.S. society has invested a huge quantity of resources in the infrastructure supporting Eurocentric arts. The physical facilities that arts centers represent, the human resources that arts education has produced, the person-power represented by untold hours of volunteer service has provided, and the annual financial investment in arts organizations represent a nearly incalculable investment in the support of culture. Why should the benefits of this resource be, practically speaking, available only to a small percentage of the body politic? If there is a way to utilize this investment in the service of the whole population (or even a much expanded portion of it), it seems very nearly criminal not to do so. Any industry that demands growth of its consumer base for survival at a time when it is faced with what appears to be a saturated market must undergo fundamental re-evaluation of itself. The arts are not a product delivery industry. They are a personal relationship industry. Those whose heart and soul is their art must remember what it is that drew them to the profession. It had something to do with the effect that the arts had upon them as individuals and the connections it allowed them to make with others. If a means must be found to grow in order to survive, that growth can only take place by re-imagining what it is artists and arts organizations can do and for whom they do it. The personnel of the arts industry need to engage not an undifferentiated "audience" but a collection of individuals in community with them. The traditional approach to marketing holds that, for example, a Beethoven Sonata is an a priori good, regardless of the background or interests of the public to be reached. While on first consideration that may seem true, it should be remembered that for sixteenth-century Catholics, Palestrina was an a priori good. Today, however, an industry is not built around his work. Times and tastes change. There is a fundamental question to be addressed. Which is more important, that particular Beethoven Sonata or, on the other hand, the role which reflective music should play in society? If it is the latter, not only should marketing approaches be re-examined; the understanding of the product presented should be re-considered as well. The focus on tickets or body count rather than the people who are the potential market has led the industry away from creative thinking about how to expand its conception of that market. There are numerous reasons, both moral and practical, for pursuit of a community-focused arts agenda, both for arts organizations and for communities. The practical reasons fall in the categories of systemic (meaning of value to large systems: the “arts world” or “the community”) and organizational. While some of these reasons may be obvious, it should be helpful to articulate them here. For city development officials, an arts community actively involved in community-focused art projects can be a vital resource. In on-going efforts to support economic development and improve educational opportunities, community/arts partnerships have much to offer. This will be discussed in much greater detail later. In addition, a city where the arts and business or education communities are in regular dialogue has the option of drawing on this relationship capital to address opportunities immediately as they arise. This can provide a competitive advantage in corporate recruitment, decrease lag time in infrastructure development or project implementation, and significantly improve the turnaround time on efforts to address issues in the public schools. Similarly, an arts community thoroughly integrated into the life of a city can significantly enhance the quality of life. Again, this will be discussed in much greater detail below; but where community-focused arts projects designed to improve the lives of a city’s citizens are well implemented, the social fabric of that city will be significantly healthier than would otherwise be the case. And, when difficult social issues arise, there are communication structures in place to address them. 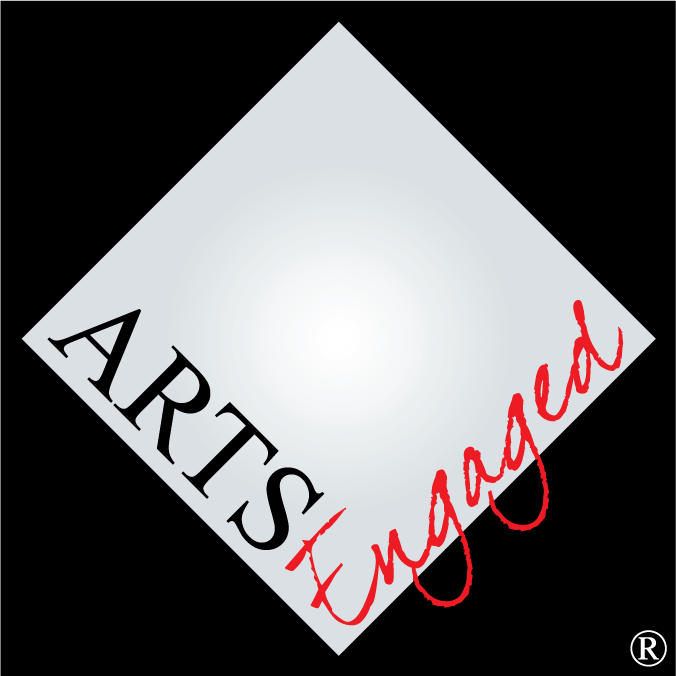 Members of the arts community can frequently be heard asking sympathetic public officials or opinion leaders for language and arguments that would encourage elected officials to to support the initiation or expansion of public funding of the arts. These questions spring from an unquestioned shared conviction within the arts community that such funding is justified. An interesting response to the question would be that the solution is not in tricks of language or more persuasive arguments but in an obvious and undeniable record of arts organizations’ community engagement leading directly to healthier, happier, more equitable, and prosperous places to live. The results of such a record would be an electorate that would demand public support of the arts (both in funding and in broader policy). The fact that that is not the case speaks volumes. Where the arts are visibly involved in improving people’s lives on a broad basis, there is real potential for the creation of political capital that will support greater public funding and arts-friendly policy initiatives. Where the arts are seen as making a vital contribution to the entire community, the atmosphere of public acceptance will aid in all elements of public sector relationships with the arts. While directly related to all the other headings in this section, particular mention needs to be made of the importance of community engagement activities in reaching the middle class and better-off suburban/exurban populations. For reasons addressed at length in many other parts of this book, these groups are generally not predisposed to be supportive of the reflective arts. The tools discussed here by which the arts can address concerns of importance to all people represent a powerful means of rallying an “apathetic suburbia” and a “disaffected middle class” to the value of the arts. As will be discussed later, the improvement of public education (as one particularly good example) by means of arts engagement is a common ground on which support for the arts can be built. For the individual arts organization, a community engagement agenda is inevitably a development strategy. From a purely public relations point of view, an organization visibly involved in improving the life of the community will be seen in a positive light in direct proportion to the good seen and understood by the public. That might bear public policy fruit for the specific organization; but more typically, it sets the stage for marketing and funding benefits. The arts organization that is presenting community-focused arts programming is already attracting a broader range of people than is typical. In addition, people who see an arts organization as a valued member of the community will be more likely to consider patronizing its offerings, much the same way that relatives of student performers are more likely to attend a high school theatre production than are strangers. The sense of personal relationship or perceived direct value is a powerful motive for participation. Similarly, when an arts organization is viewed as making significant contributions to the well-being of the community, there is a far broader spectrum of potential donors than is typical. Visibility is the first element of fundraising; a clear understanding of the direct benefit of the work to the donor and community is the clincher. Dorothy Gunther Pugh, in her article on Ballet Memphis points out how they have taken advantage of this as an opportunity to define a unique market niche. There are ballet companies in many small and mid-size cities, companies that have a tendency to be somewhat uniform in repertoire, reputation, and relationship with their communities. Ballet Memphis’s community engagement agenda permits it to form deep bonds within the city and to position itself as unusual if not unique in the pantheon of ballet companies on the national scene.